TEHRAN, Iran, January 17, 2011 (ENS) – Health officials in the Iranian capital are beginning to count the costs as the city begins recovering from its worst ever recorded bout of air pollution. Schools and offices were closed twice and national football league games had to be called off as an unusually dry spell intensified the climatic effect which traps a blanket of polluted air over the city every winter. Hemmed in by mountains on three sides, the air does not move. The air became so unbreathable that the city’s crow population voted with their wings and left. After two suffocating months, the air finally cleared in January, offering Tehranis some respite. The emergency services reported a 20 to 30 per cent rise in the number of admissions for heart and respiratory complains over this difficult period, but it is still unclear whether the authorities will announce figures for the mortality rate. In the last full Iranian year, ending in March 2010, Kazem Naddafi, head of the Health Ministry’s Center for Environmental and Workplace Health, said 3,641 people died of complaints attributable to pollution, but there were indications the real death toll was much higher. This is not to say the statistics do not exist. In fact, the Health Ministry conducts detailed studies into the effects of pollution on human health and classifies deaths according to cause. But these studies are strictly confidential. In 2005, Fathollah Ommi, who was then managing a major pollution reduction program for Tehran, said annual deaths attributable to two pollutants were close to 10,000, a figure that did not include such harmful agents as carbon monoxide and sulphur dioxide. Dr. Akbar Koushanfar, professor of medicine at Tehran’s Shahid Beheshti University, told a medical convention that official research indicated that life expectancy in the capital was five years less than the average for Iran. The appalling level of pollution recently experienced is all the more alarming since it comes at the end of a 10-year-long, wide-ranging program to make Tehran greener. 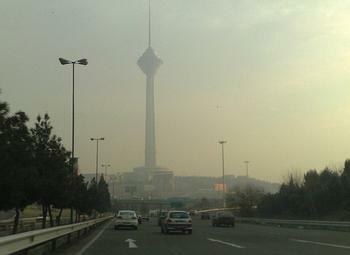 “The comprehensive plan to cut air pollution in Tehran has at best attained under 30 percent of its objectives,” Yasser Ansari, who heads an environmental group called the Centre for Expanding the Greenbelt and Environmental Conservation, which has recently brought a legal action against several government agenicies on the grounds that the failed effort infringes the public’s rights. Omidvar Rezai, a member of Parliament’s presiding board, recently announced that a parliamentary investigation had found that government agencies tasked with air pollution control had not fulfilled their obligations. The Governor of Tehran province, Morteza Tamaddon, says he will name and shame those responsible for air pollution, although his promised press conference has yet to materialize. Meanwhile, the deputy head of Tehran City Council, Hassan Biadi, has asked Iran’s chief prosecutor to launch proceedings against government agencies which he accuses of incompetence. Biadi argues that the failed effort reflects a wider institutional lack of coordination between different government agencies. The basic causes are not hard to identify. The consensus view is that vehicles account for four-fifths of air pollution, and industrial units on the city outskirts, the rest. The city’s infrastructure has a notional capacity of 750,000 cars, but between 3.5 and four million are believed to be driving around, with around 2,000 added every day. There are also 2.5 to three million motorcycles. Where measures have been taken to combat these pollution sources, they have largely failed. Other schemes, such as a plan to shift industry away from east Tehran, from which the prevailing winds blow, have not even been implemented. Obsolete cars were supposed to have been taken off the road by early 2010, but a year later, the most optimistic forecast is that a third of them will be withdrawn. 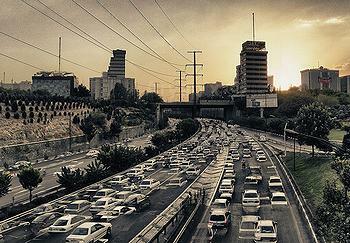 Iranian-made, high-emission Paykan models discontinued in 2005 still dominate Tehran’s streets. Since 2005, drivers have been required to subject their vehicles to regular tests, but seven out of ten cars in the highest emission categories have no certificates. The city does not have enough technical centers to cater for those drivers who do obey the rules. Iran’s two main car manufacturers, Saipa and Iran Khodro, are still turning out vehicles to the Euro 1 emission standard even though they were supposed to have switched to the greener Euro 3 standard in 2008. They argue that there is little point in doing so until the Iranian oil industry can ensure adequate supplies of green petrol. With bus services limited, Tehran’s underground railway system would seem to offer the best hope of cutting petrol emissions. However, plans to expand the network from two to seven lines have yet to materialize, so the metro accounts for just two of the 19 million individual journeys that Tehran commuters make every day. The reason for the delayed construction is politics. 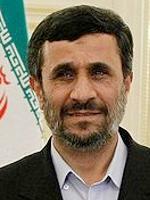 President Mahmoud Ahmadinejad’s administration is at loggerheads both with Tehran Mayor Mohammad-Bagher Ghalibaf and with Mohsen Hashemi-Rafsanjani, chief executive of the metro operator, and refuses to release development funds even though these have been approved by Parliament. 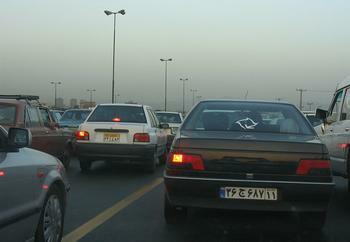 The ineffectiveness of anti-pollution schemes has forced the authorities to impose a range of emergency measures – giving workers a few days off, cutting office and school hours, and requiring cars with odd or even numbers on their license plates to stay off the roads on alternate days. 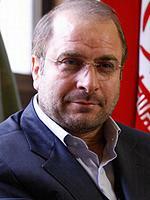 They recently announced plans to manufacture air purifiers to be placed at 100 locations around Tehran.